Hope you all had a beautiful Mother’s Day weekend! I am just about ready for this baby to come into the world, and celebrating my first mother’s day as a mother was a sweet way to kick off the countdown for baby to arrive. We’re in full nesting mode around here, and the house is almost baby ready! Anyways, I’m still trying to find time to bake here and there while I can, and this pretty cake was to celebrate all the May birthday’s at work before I left the office to prepare for our little one. I have really been wanting to make this cake for a long time actually. I’ve made a lot of banana bread recipes in my day, and a couple of banana cakes, but not a full layer cake with all the fixins, so here we are. 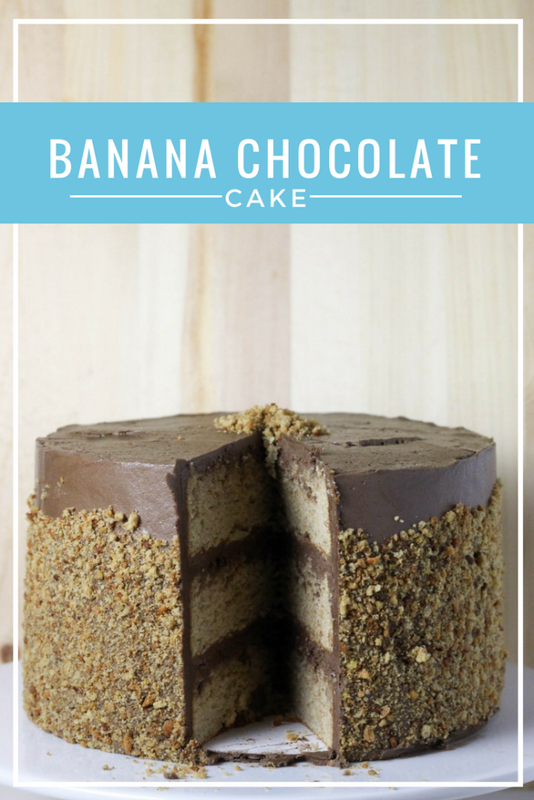 Bananas and chocolate are a classic combo, and this cake is no exception. 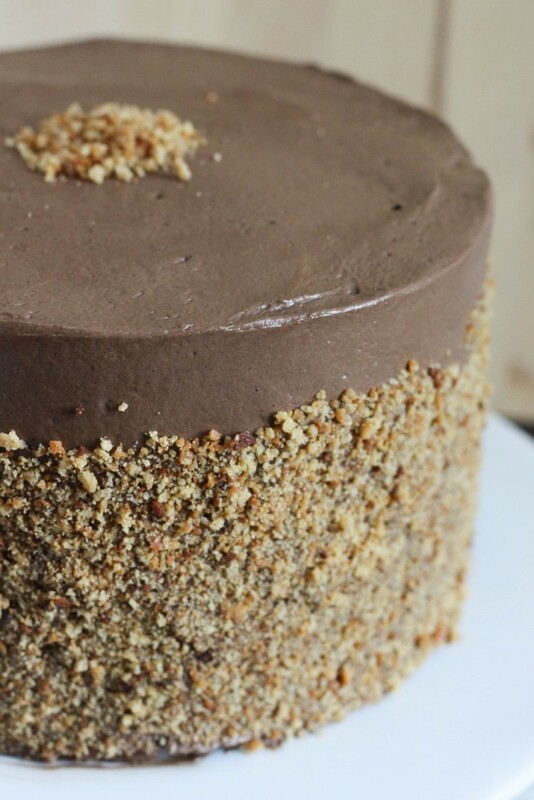 I’m layering up stacks of light, sweet, banana cake, fluffy chocolate Swiss meringue buttercream, and then coating the outside with toasted cake crumbs, which are a revelation btw. 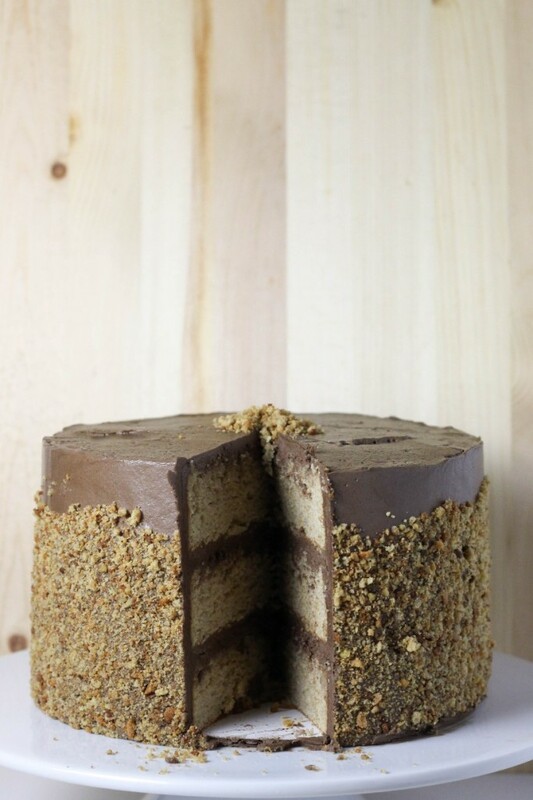 Basically, when you make big ol’ layer cakes like this one, you typically trim each layer of the cake to make a flat surface to stack. I know not everyone does this, and there’s also a lot of great ways to bake cakes flat so that it’s not needed, but I always just do everything normal and trim my cakes. That leaves you with some excess unused cake, which usually turns into a snack in my house. BUT, you can also take this extra cake, crumble it up, and pop it back in the oven on a sheet pan until it gets totally dried out and toasted. Then, pulse it a few times in the food processor and you’ve got this crunchy, flavorful topping to use. 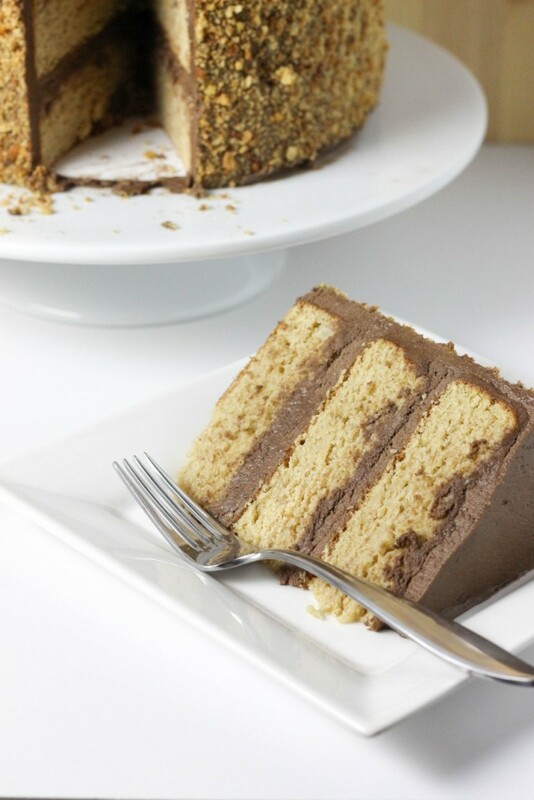 I just smushed mine right into the sides of this cake, and the contrast in texture and just the look of it is fantastic! 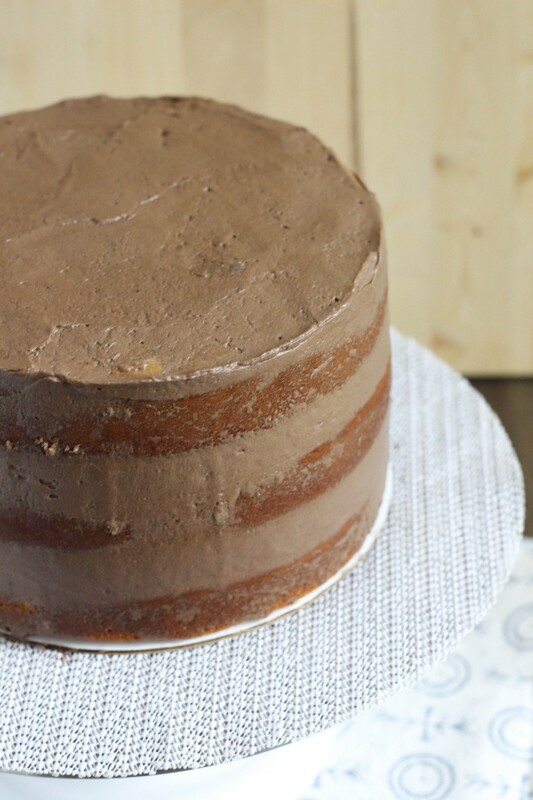 It all feels very fancy whenever I make a layer cake, but even when they don’t end up looking super great, and even if you haven’t practiced cake decorating and stacking much, the end result is always sweet and delicious, so go for it. Preheat your oven to 350 degrees, and grease 3 8-inch round cake pans. Set aside. In a large bowl, beat together the butter, brown sugar, and sugar until smooth. Add in the eggs, one at a time. Then, beat in the mashed bananas and vanilla extract. 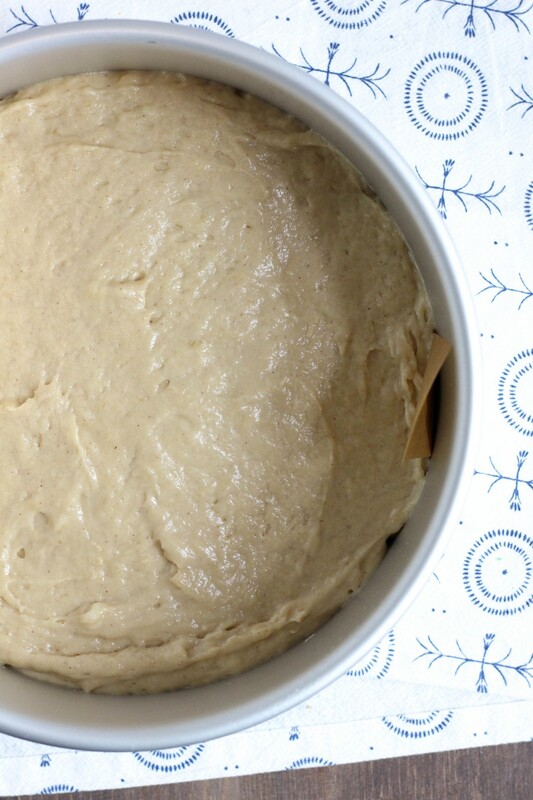 In a medium bowl, stir together the flour, almond flour, salt, cinnamon, and baking soda. Beat the flour mixture into the butter mixture in parts, alternating with the buttermilk. You want to start and end the process with the flour mixture. Beat until the batter is completely incorporated, about 1-2 minutes. Divide your batter evenly into your prepared baking pans. Bake for 30-35 minutes, or until a cake tester comes out clean. Cool in the pans for 15-20 minutes. 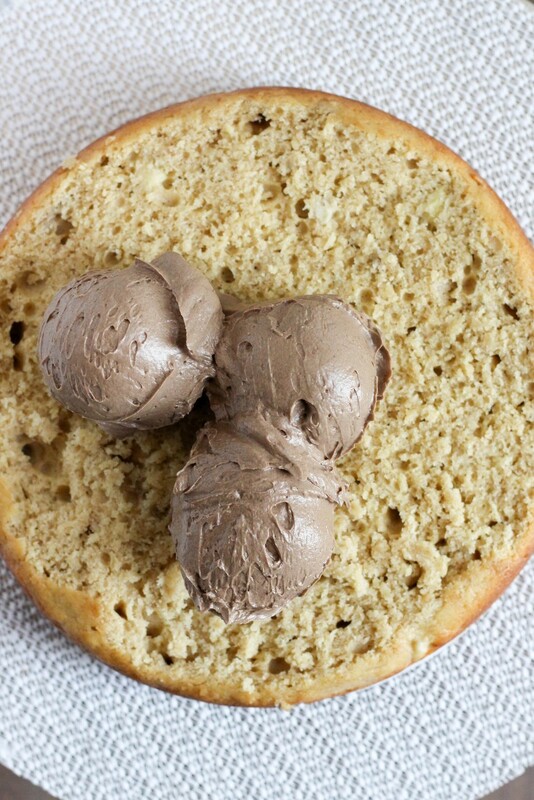 Gently turn the cakes out onto plastic wrap, and wrap tightly. Chill for 30 minutes to an hour. Once the cakes have chilled, trim the tops to make a flat surface. I find this is easiest with a large, sharp knife. Preheat your oven to 300 degrees, and line a baking sheet with parchment paper. Crumble your trimmed excess cake onto the sheet pan, and spread evenly. It does not have to be perfect. Bake for 15-20 minutes, or until the cake crumbs have started to become a dark golden brown. Cool completely on the sheet pan, and then crush to a fine crumb. In a large bowl over a double-broiler, whisk together the egg whites and sugar, and cook until the sugar has dissolved. The mixture should be at about 150 degrees. Remove from the heat, and beat the mixture on medium speed until stiff peaks form. This will take about 10 minutes with a stand mixer, and a bit longer with a hand mixer. Slowly beat in your softened butter. The mixture will become thin, and then it will look separated- keep beating. 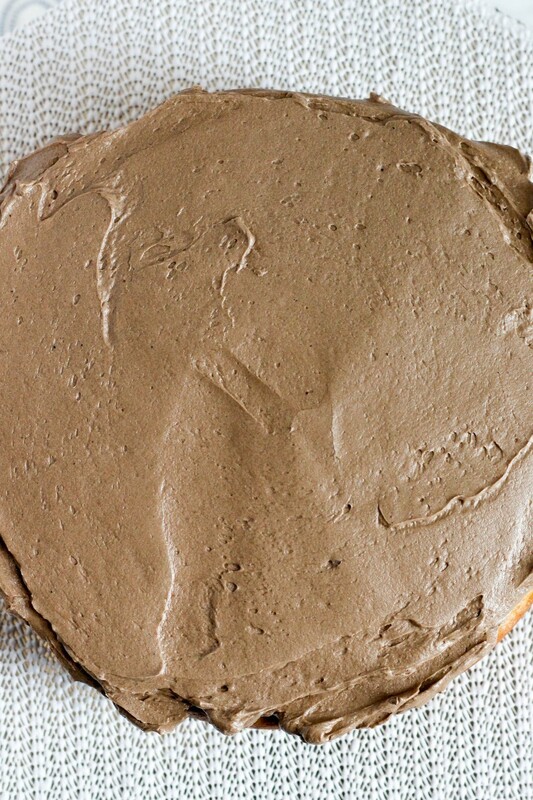 After 10-15 minutes of mixing, your frosting should come together into a smooth mixture. Beat in the salt, vanilla extract, melted chocolate, and cocoa powder until completely combined. 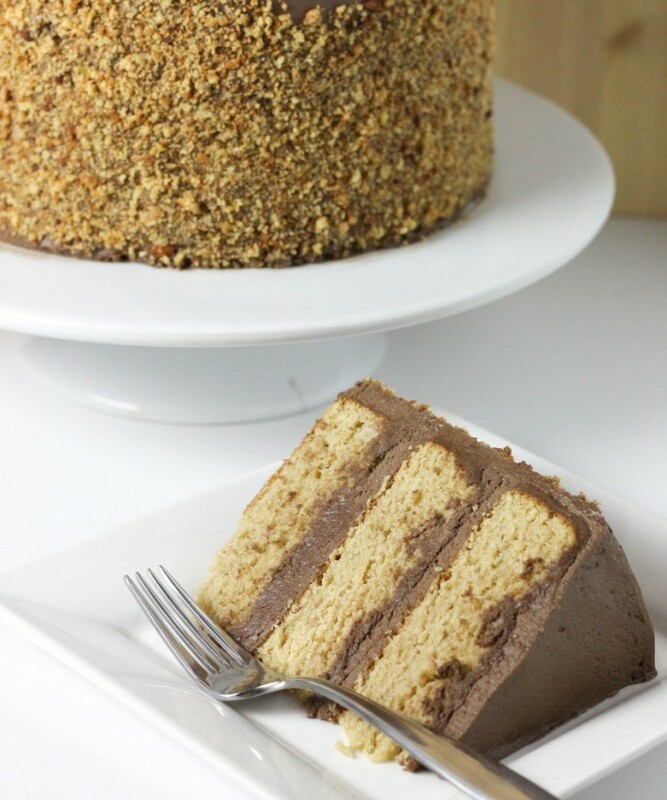 Frost your cake as desired, using the toasted cake crumbs as a coating for the outside! Anyway i can get away with not using the Almond flour? Yes, you should be able to just replace it with all purpose and be good to go!